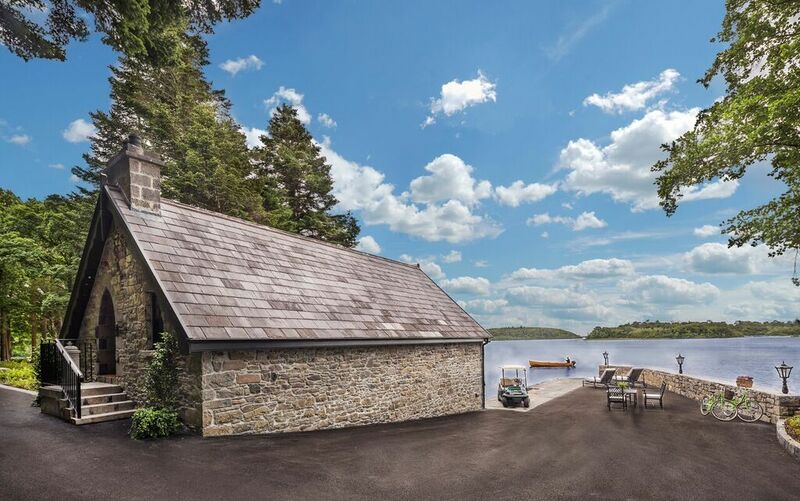 Ashford Castle, the 13th Century castle hotel in County Mayo, Ireland, has unveiled the latest addition to its accommodations, the all new Hideaway Cottage, situated on the edge of Lough Corrib. As part of a large renovation project, the Estate’s former boathouse has been fully modernized, while keeping true to its Irish heritage, to create a luxurious cottage hideaway. The Hideaway Cottage offers maximum privacy for the ideal romantic retreat, while still offering guests access to all of the amenities and services of the Castle and its 350 acre Estate. Surrounded by woodland with a 180-degree view over Ireland’s second largest lake, the secluded Cottage is offset from the Castle and gated for complete privacy. It is comprised of one bedroom, an entry hall and bathroom, and is perfect for honeymoons and romantic getaways. Alongside all of the services that the Castle offers to guests, the Hideaway Cottage also provides a personal Hideaway Assistant who is just a phone call away to accommodate any requests. In addition to the myriad dining options on the Ashford Castle Estate, guests can also dine privately in the Cottage, which has been lovingly designed incorporating materials found on site such as original stones and old fireplace lintels from the Castle’s Estate. With its elegant bathroom; French parquet flooring, handmade by Geraghty’s of Ireland; built-in cabinets from Loughnanes of Ireland; lush fabrics; a blue Murano glass chandelier; ceiling designs by David Faulkner Interiors; and building finishes by Edward Deacy, the cottage feels like a sumptuous and cozy private home. Like the rest of the Castle, the Hideaway Cottage is characterized by individually selected original art, antique pieces and custom-made furniture. These include a pair of French Empire marquetry chest of draws, a four-fold European canvas screen from the early 20th Century, art by Louis Icart and a late 19th Century pair of walnut armchairs covered in tapestry by Brunschwig & Fils. Guests of the Hideaway Cottage will have their own bicycles and access to all facilities of the Castle and its Estate, including falconry, fishing, horse riding, a nine-hole golf course, a billiards room, zip lining, a 32-seat cinema, wine cellars and three restaurants in addition to the private dining options that the cottage itself offers. Al fresco dining on the Hideaway Cottage’s pier, with the Castle as its backdrop and the stars reflecting on the lake is the magic that fairy tales are made of. With a host of personal, thoughtful touches and services including a dedicated room service attendant and housekeeper, guests are promised a luxurious Irish experience like no other. Room rates for The Hideaway Cottage start from €3,000 per night on a B&B basis. 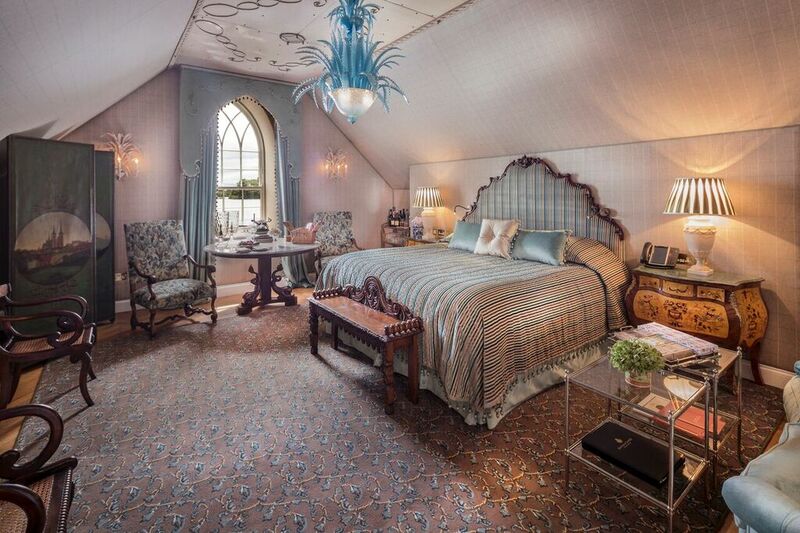 For more information about The Hideaway Cottage and Ashford Castle, visit http://www.ashfordcastle.com. Ashford Castle is set on 350 acres in County Mayo, on the shores of Lough Corrib and the River Cong, with a spectacular backdrop of woodlands, lake, river, and mountains. It features 83 guestrooms, suites and a Lakeside Cottage, and is renowned for a range of country sports including an equestrian center, fly fishing, an exclusive nine-hole golf course and Ireland’s first school of falconry. Several dining rooms and bars, along with a gracious afternoon tea service are among the amenities. It is a member of Leading Hotels of the World. 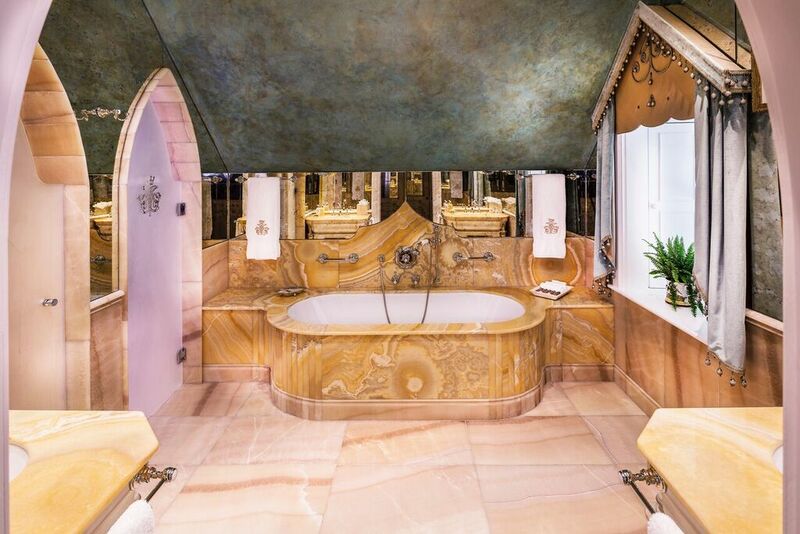 For more information, visit http://www.ashfordcastle.com. Red Carnation Hotels is a collection of family-run, award-winning boutique hotels in the UK, Ireland, South Africa, Switzerland and the USA. Each hotel is a landmark of history and tradition; from the recently restored Ashford Castle in Ireland, to the Milestone, a historic mansion hotel in the heart of London, to the truly iconic Oyster Box in South Africa – their hotels are unique and characterful with a personal approach to hospitality. With a peerless reputation for exquisite fine dining, leading spas and sumptuous surroundings, Red Carnation prides themselves on delivering warm, thoughtful and highly personalized service. For more information about these award-winning hotels and the rest of the Red Carnation Collection, go to http://www.redcarnationhotels.com.